It started with barking but quickly escalated out of control. FOUR PIT BULLS that had just moved into Virginia Farley's Sanford apartment attacked her and her family. First they bit her 17-year-old granddaughter, who scrambled onto a kitchen counter to escape. Then they went after Farley's disabled son, who tried to use a broom to fend them off. Farley got him away from the dogs, and the two of them holed up in a back room. The dogs went silent, and she thought they had calmed down. So she opened the door. "The largest dog grabbed this arm," she said, pointing to her left arm, now an amputated stump. Farley, 50, spoke publicly for the first time last week about the pit bull attack on Jan. 19 that nearly cost her her life. She returned to Central Florida two weeks ago after six months in Jacksonville and Chicago for specialized medical care. Farley is living temporarily in Pine Hills with her daughter, grandchildren and 29-year-old son, who has Down syndrome. At one point, she said, she looked down at her left forearm. "This was all white bone," she said. She was rescued by Sanford police Sgt. Nigel Price, who shot and killed the four attackers plus another dog after one charged him. Tears come into Farley's eyes as she retells that part of the story. "But I was so relieved, so relieved," she says. "I hurt so much." She passed out in the ambulance on the way to the hospital, she said, and did not regain consciousness for a week, after doctors amputated her left arm above the elbow and reconstructed her right arm, which is deeply scarred. By then, police had closed the case. There was no crime, and no one had died. Police reported that five people were injured. Farley says it was only three: her, her 17-year-old granddaughter, and her son, Richard Farley. Their injuries were less serious. There were other grandchildren at the apartment, she says, but they were outside, out of harm's way. None of the dogs was trained to fight, she said, and she does not know what set them off. "I couldn't imagine them doing this," she said. She was the victim, she said, of four dogs that suddenly turned into a pack. The oldest male in the group, a 42-pound male named Boss, is the one that started the attack by clamping down on her left arm, she said. "The other three followed. They operated as a pack, as if they had one mind, as if they were one." Her advice to dog owners: "Humans should not allow multiple pit bulls out together." PIT PROPAGANDA ENTERS THIS ARTICLE!!! No federal agency currently keeps statistics on dog bites, said Cory Smith of the Humane Society of the United States, so it's impossible to say if pit bulls are responsible for most. But a specific category of dog bites – fatal attacks on humans – are studied, she said. In a typical year there are 30 to 35 of those, and according to the National Canine Research Council, there's no reliable evidence linking pit bulls or any other breed to a disproportionate number of them. More than 20 breeds had been linked to fatal human attacks, Smith said. A much better predictor than breed, she said, are environmental factors. The dogs that killed people often acted in packs, often had not been spayed or neutered and often lived outdoors and had limited human contact, Smith said. Farley's right arm and hand are so weak she cannot carry a gallon of milk. She hopes one day to get an artificial left arm – "a bionic arm" she says with a laugh -- but for now that's not possible. The tissue has not yet healed. She jokes that it could be worse. She had planned to get butterfly tattoos the length of her left arm. Had she spent the $200 for the tattoos and then been attacked, "I'd have been pissed," she said. But she is frustrated by her limitations: She cannot drive, cannot zip up a jacket, cannot open a can, cannot button her clothes. "I want everything I had before," she says. "It's pretty sad to be like this, to be honest with you." On Thursday she set up a Go Fund Me account, and she talks about creating a nonprofit organization specifically for people who have lost arms and hands to amputation. She used to work, taking incoming phone calls for customers needing help with tax returns, but she can no longer do that. She can't operate a computer. "I want to get my life back and be as independent as possible," she said. 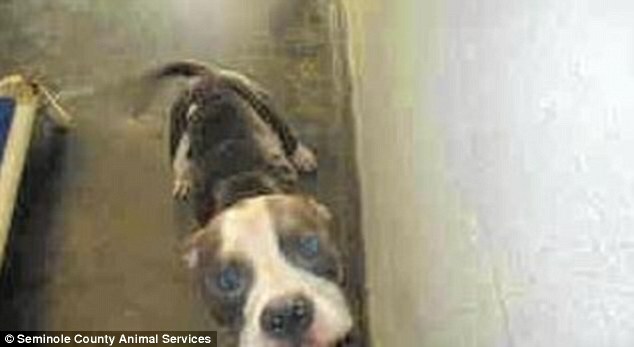 The fifth dog, Lily, was in a cage in a back room while Farley was under attack. 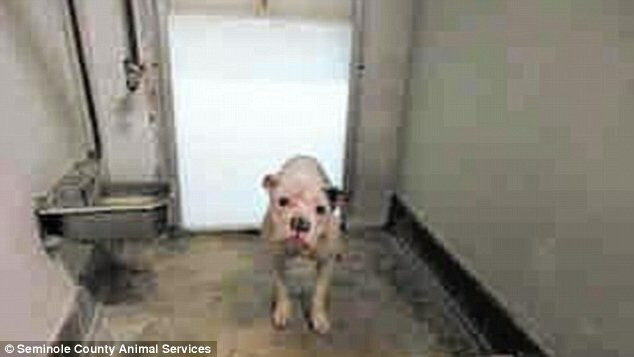 It was impounded by Seminole County Animal Services. Three months ago someone who had been told about its history adopted it, said Bob Hunter, animal services director. There's no "reliable" evidence linking pit bulls or any other breed to a disproportionate number of them. REALLY?! EVER HEAR OF DOGS BITE DOT ORG?!!!! Oh, since Dogs bite dot org is not a federal agency, their statistics don't count? REALLY!?! I don't think a federal agency is the only entity with the ability to count how many pit bulls kill how many humans per year. Keep closing your eyes, and sticking your fingers in your ears, and repeat la la la la la, until everyone else believes your lies are true. Pit bulls don't kill people, or other animals, or remove limbs. This lady didn't really have 4 pit bulls attack her for no reason. This lady did not have her left arm chewed down to the bone. None of this happened. 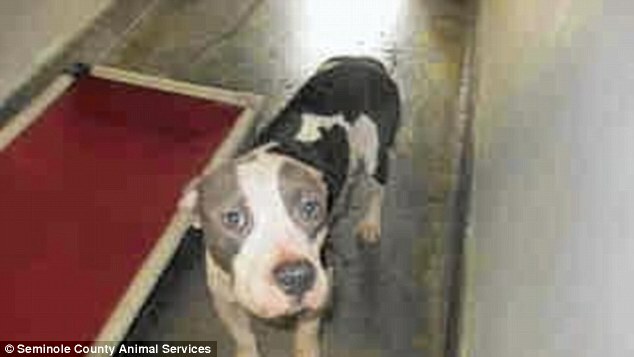 Please adopt 4 pit bulls of your own! 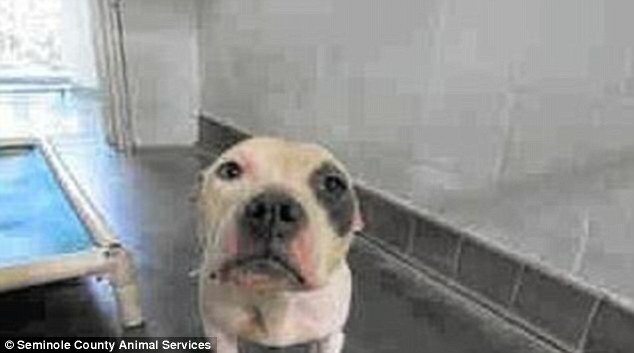 The shelters are filled with unwanted, homeless, aggressive, dangerous pit bulls. But it's okay, we put tutus on them! I'd like to know what the "more than 20 breeds" that have killed people are. I swear everyday I read something by a government agency, federal and local that just confirms my belief that we as a country are getting dumber and are getting lulled into a false sense of security that the government will take care of us! Even president 0bama came out against BSL!!! You and me are on the same page Dayna! Four, possibly six dogs (pit bulls) in an apartment? Okay.